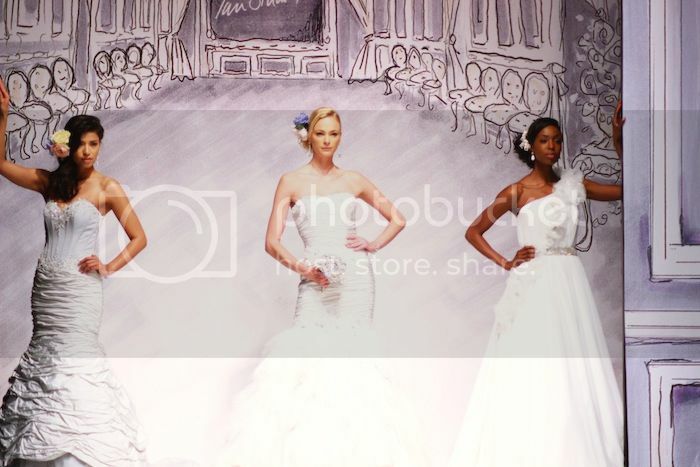 When an invite popped up into my mailbox to attend the Ian Stuart 2014 fashion show the other week I simply couldn't resist a day filled with champagne and beautiful dresses that a girl could only dream of wearing. 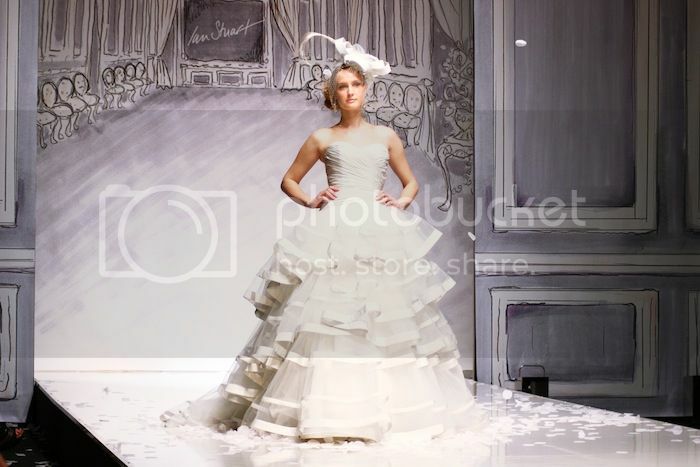 For those of you who are unfamiliar with the brand, Ian Stuart is a british bridal designer who is noted for his range of spectacular, but flattering bridal wear. 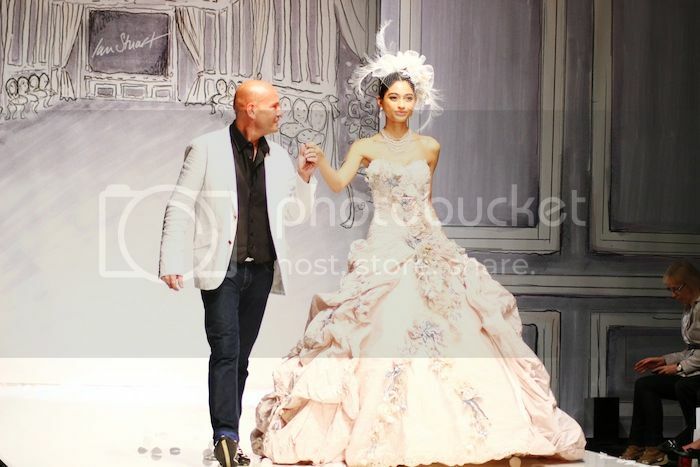 He has won Bridal Designer of the year and his dresses have been featured in magazines such as 'Hello! 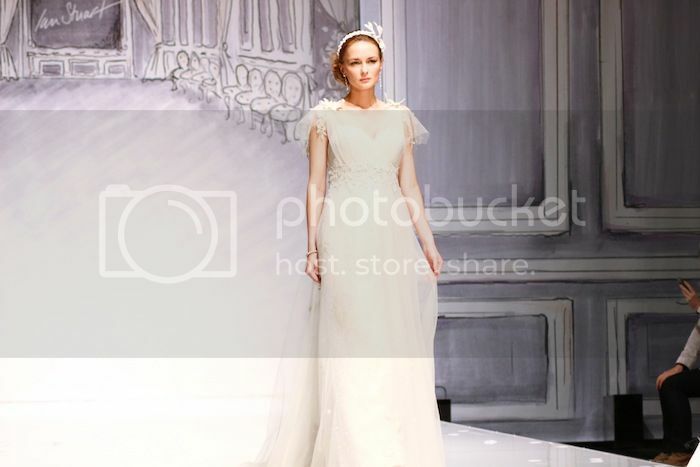 ', 'Cosmopolitan Bride', 'Vogue Spossa' (bridal version of Italian Vogue) and many others. The show itself was incredible, and as I was lucky enough to grab a spot on the front row, you could take in the true beauty of the collection up close and really appreciate the time gone into designing and creating each 'look'. Also I love how the show lasted for around 45 minutes which was great as it didn't feel like the models were being rushed down the catwalk. The collection was called 'Frill Me' and featured dresses ranging from the long and traditional to the modern day 'bride to be' who prefers a classic trouser suit. A personal favourite was the one pictured below as it oozes that 'goddess' like quality, it was almost like the model was floating down the catwalk with the soft, loose flowing fabric and intricate areas of detail. In fact the attention to detail throughout the collection was incredible as it captured that glamourous, couture feel which he is renowned for. The last 'look' that was featured to finish the show was the jaw-dropping 'WOW!' moment for all the audience. It featured this huge pale pink dress scattered with pastel coloured flowers starting from the top of the bodice dispersed out to the bottom of the dress. The dress was undoubtedly a piece of art and with Ian holding the models hand it was a spectacular end to an incredible show. The new collection will be available in september and if you want to drool over some more stunning dresses make sure you check out their website here!